One of the major roads in Mexico-city ( Paseo de la Reforma ) is chosen by Coffee-giant Nestle for it’s Portal of Awareness-project. 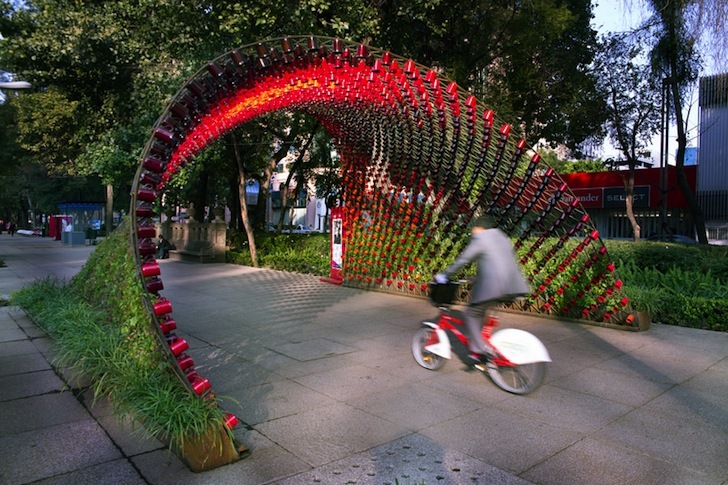 Nestle commissioned Architect Rojkind Arquitectos to make a design , a dynamic urban installation comprised of no fewer than 1,497 metal coffee cups. The main structure consist of 41 arches connected te each other by two additional layers. 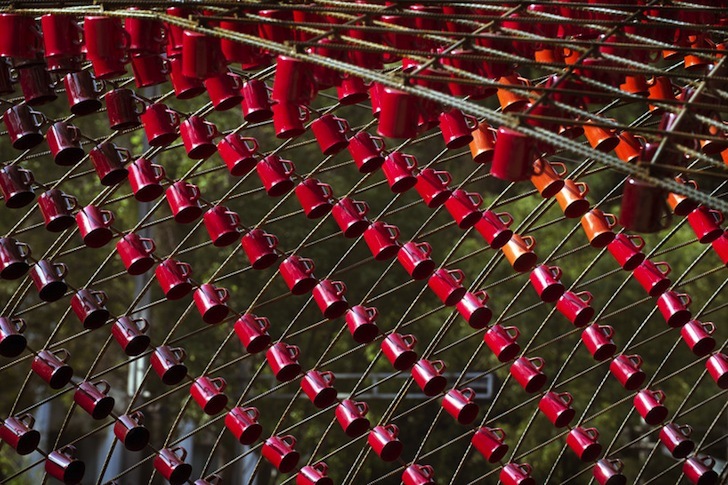 The 1,497 mugs are carefully attached to diagonal sections of rebar. 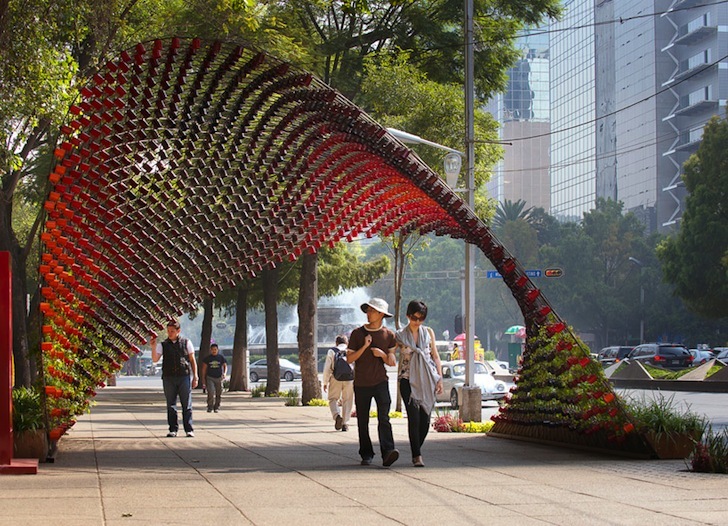 The arches are based in Planters with Vines taking root. /source. Voorgaande Vorig bericht: Japanese Botanical Garden illuminated with millions of LED-Lights. Volgende Volgend bericht: Scuba-Diving in Radisson Blu Hotel Berlin.